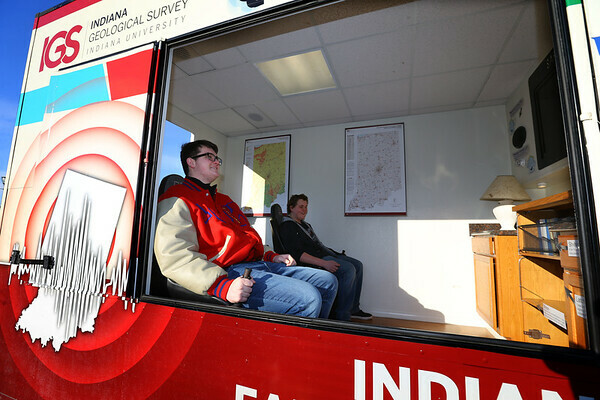 Senior Kyle Burdette and other KHS students were able to feel what it is like to experience an earthquake on March 9, 2018. Indiana is the 3rd most likely state to experience an earthquake after California and Alaska. The experience lets them feel a magnitude 7 earthquake like the New Madrid earthquake of 1811 that originated in Indiana but was felt on the east coast.